The floor is the biggest space in your home, and is subject to lots of wear and tear. You walk on it every day; you put lots of heavy furniture on it (and drag it around), and your kids may drop heavy toys on it. Besides needing to be durable, your flooring can also make a big difference to the look of your home, and impact its resale value. So, style is another consideration. With all these factors to consider, choosing flooring materials for your home can be a daunting and overwhelming task, especially with so many options available in the market. Laminate flooring at the entrance of this home in Petaling Jaya. Design by Posh Home. 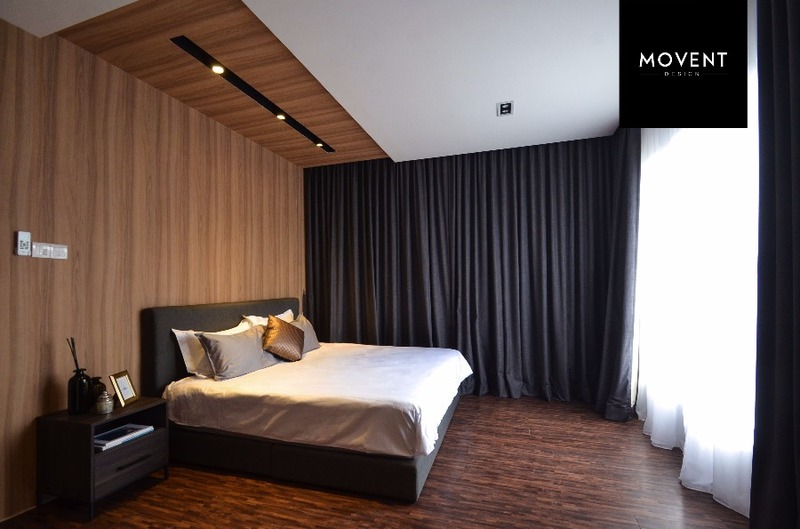 The most common types of flooring materials in Malaysian homes include wooden flooring, laminate flooring, vinyl flooring, tiles, cement, and marble. But if you are going for a Scandinavian interior design, or Balinese interior design, wooden flooring is the obvious choice. In the article below, we examine the different wooden flooring choices available to homeowners, such as hardwood and engineered wood. We will also cover flooring materials that are made to resemble wood, such as laminate wood flooring and vinyl flooring. Whether if it’s solid hardwood, laminate, or vinyl flooring, our wooden flooring specialists can help you beautify the interior of your home. Get free quotes now when you submit your requirements. Solid hardwood flooring is, as its name suggests, made of nothing but 100% pure solid wood. 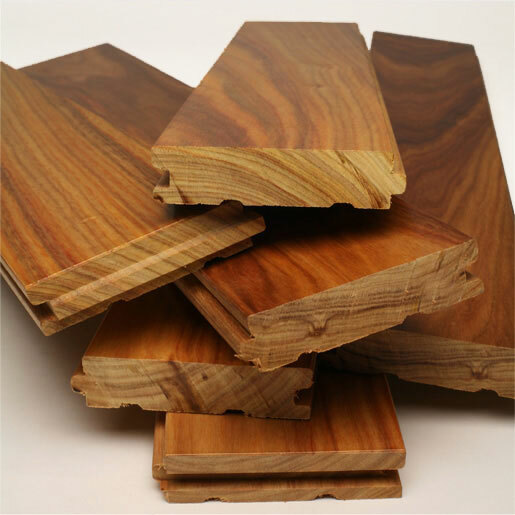 This type of flooring material comes in many species, including balau, nyatoh, merbau, kempas, chengal, Burmese teak and belian. There are also other species like ash, beech, white oak, Tasmanian oak, Russian pine and walnut, among others. Some of these species, such as merbau, Burmese teak, and belian, are well known for being termite-resistant, which makes them highly valuable. Hardwood flooring is available in strip, plank and parquet. Each segment of wood strip flooring are normally about 1 ½ to 2 ¼ inches wide while plank flooring strips are wider. Parquet floors are made up of individual squares that form a geometric pattern. Hardwood flooring has also proven to withstand the test of time with many old houses still looking beautiful after even a hundred years or more. This type of material ages beautifully when it is well taken care of. They can also be easily scratched and dented but placing an area rug will help prevent such accidents and muffle the noise. 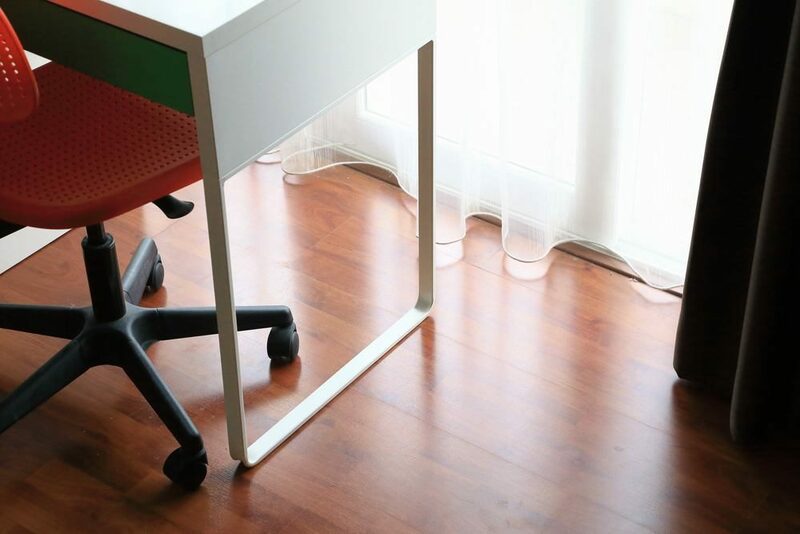 Protective stickers or chair socks are also good accessories to prevent scratches on floors. Since they are all real wood, no two pieces will be exactly alike. You can always expect different colours and grain textures that are distinctive to a particular species. Once installed, you can finish hardwood flooring with a stain that suits your taste but many prefer to retain the original colour of their exotic species hardwood floors. Solid wood floors can be sanded and refinished or stained over and over again. This means you can change the appearance of the floor to match with the décor whenever there is a renovation. However, bear in mind that the more you polish the floor, the thinner it gets each time a refinishing is done. They can be easily cleaned by sweeping and vacuuming, as well as the occasional use of wooden floor cleaner. Wooden floors can be noisy when walking across it and causing a nuisance to your neighbour, especially when you are a high-rise building dweller. Hardwood flooring is recommended for all rooms, except for the bathrooms, where water is prevalent. 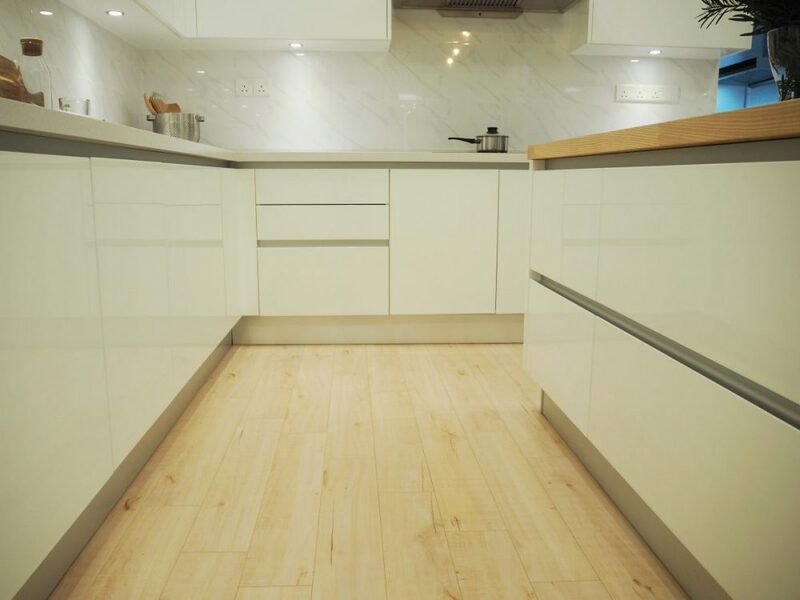 For better protection against moisture, choose site-finished hardwood over pre-finished, as the sealant fills the seams and prevents water from seeping to the substrate. Pros: Durable; beautiful; easy to clean; a wide selection available; can be refinished many times. Cons: Pricey; noisy; prone to scratches and dents; difficult to install; not suitable for rooms with high humidity. 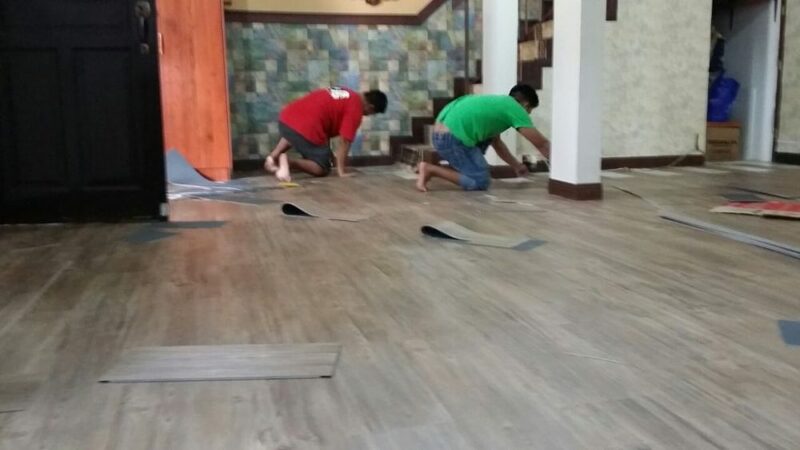 From RM22 per square feet for supply and install of solid hardwood flooring. This may vary depending on the type of wood used. Solid hardwood floors are the most costly type of flooring material compared to engineered wood, laminate or vinyl. However, solid hardwood can add resale value to a home. 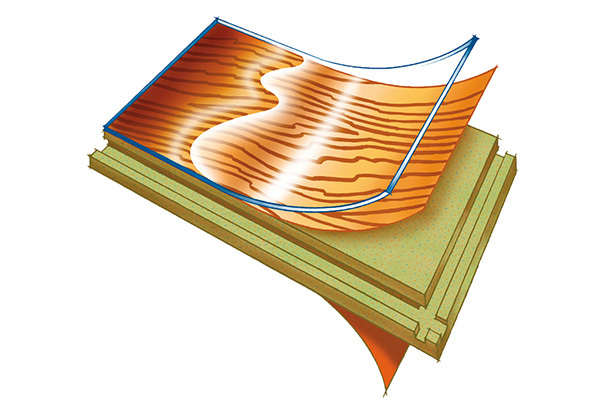 Engineered wood flooring is made of a multiple layers of plywood. A 3mm layer of hardwood is added to the top and bottom layer (known as a veneer). Engineered wood flooring is a popular alternative to hardwood flooring as it offers the same beautiful timber hardwood look but slightly cheaper, quicker and easier to install. Engineered wood flooring comes in planks and is often pre-finished with bevelled edges. It can be installed with glue or as a floating system, whereby the planks are not adhered to the subfloor or to each other. Such installation process greatly reduces the installation time and provides ease of repair when necessary. If you are one of those owners who like to have a home that looks pristine at all time, this type of material may not be your cup of tea as it is prone to scratches and dents, just like solid wood floors. When that happens, some may take it as adding character to the home but owners also have the option to fix the scratches and dents with wax repair kit. Engineered wood flooring can be sanded and refinished. 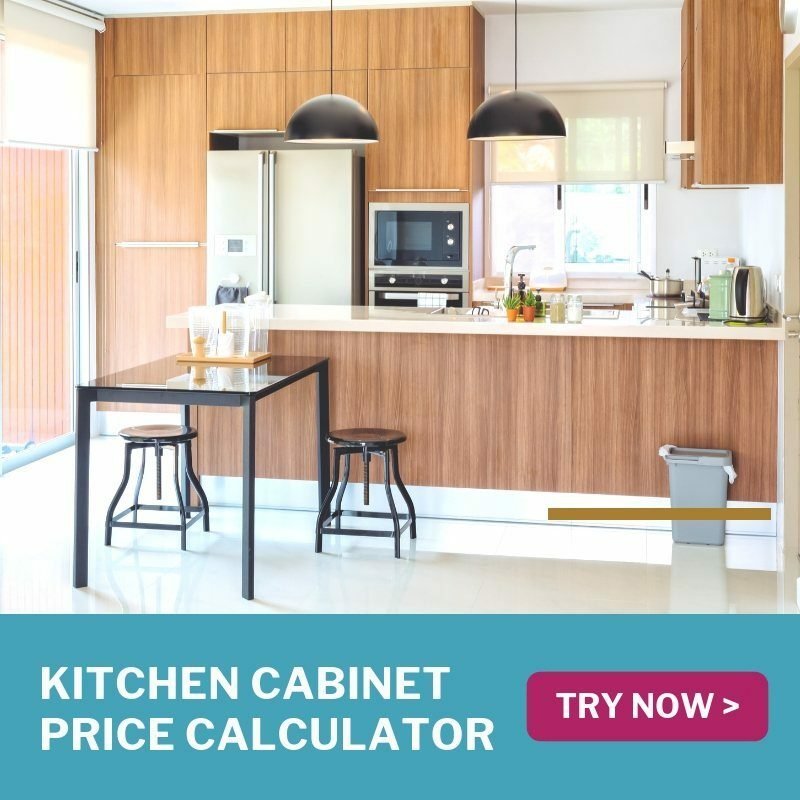 But since it only has a thin layer of hardwood, it is advisable not to refinish it more than three times throughout the lifespan of the product. This type of material is suitable for all rooms, including areas where moisture accumulates, as long as there is proper subfloor with moisture barrier. Pros: Beautiful; durable; easy to install; suitable for all rooms. Cons: Easily scratched and dented. From RM20 per square feet for supply and install of engineered wood flooring. This will change depending on the type of hardwood veneer used. Laminate wood flooring comes in long planks and is made up of several layers. The bottom layer is the backing, which helps to resists moisture. Above that is the inner core which is made of compressed wood fibres mixed with a resin to make it stronger. The next layer is basically a “photograph” of the materials you want it to look like. It can be an image of wood, marble, stone; anything you like! Today’s printing technology means that even experts can have a tough time telling whether a laminate floor is real wood. Finally, the top layer is a very hard, clear protective layer to protect the floor from scratches, damage and wear and tear. Homeowners can choose from a huge range of designs, ranging from natural hardwood appearances to natural stones and ceramics. Because of the protective top layer, and the moisture resistant bottom layer, laminate wood flooring is suitable even for areas like the bathroom, kitchen and laundry. Laminate is gaining popularity among homeowners as it is easier and costs less to install compared to traditional materials such as hardwood flooring. It is durable, hygienic (with some brands offer an antimicrobial resin) and easy to maintain. This type of material cannot be polished, but any broken pieces can be easily replaced. Affordable; durable; hygienic; a wide selection available; easy to clean, maintain and replace. From RM6.50 per square feet for supply and install, depending on the chosen design. Vinyl flooring or PVC flooring is made of coloured polyvinyl chloride (PVC) chips that are compressed into solid sheets of varying thickness by heat and pressure. Vinyl flooring is available as planks, sheet and tiles. They can be easily installed over a smooth layer of most floor types with vinyl adhesive or tile mastic that remains pliable. That makes it a great choice for sub-floors with cracks or those that move. 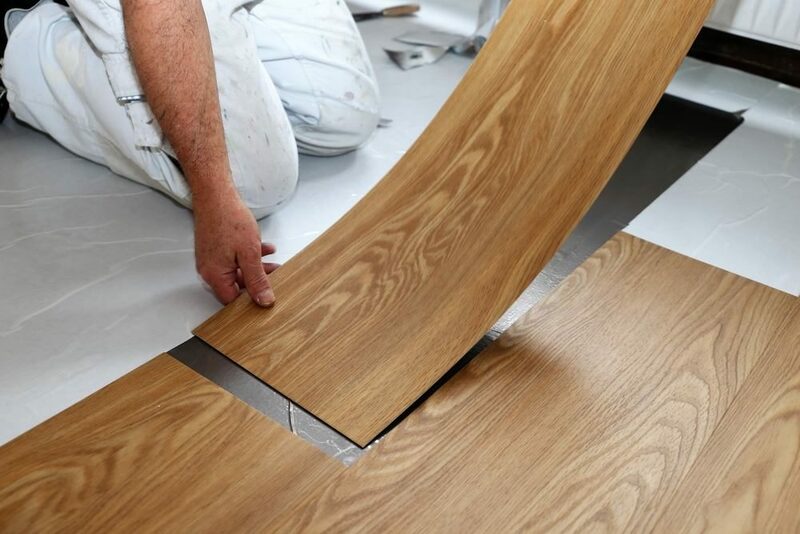 There are even plank options that are also DIY-friendly as they are available in interlocking or tape-down system where no glue or nail is needed in the installation process. Some vinyl tiles are waxed and buffed for commercial applications. They can be easily removed and replaced when damaged as long as they are properly installed. Vinyl flooring is an economical option available in a wide range of colours and textures that resemble wood, stone, terrazzo, concrete and other designs. It is aesthetically pleasing yet requires very minimal maintenance. This type of material is highly resilient to abrasion and impact damage and can be repeatedly refinished when necessary with chemical strippers and mechanical buffing equipment. It also has a softer surface compared to that of wood and tile floors, making it easier to stand on for a longer period of time. It is a popular choice for many homeowners as it is water and dirt resistant, which makes it suitable for bathroom, kitchen, laundry and high-traffic areas. The downside of vinyl flooring is it will discolour if it is installed in areas with direct sunlight so it is not recommended for outdoor use. Certain rubber materials, such as those from floor mat, can also cause discolouration. Homeowners are advised to look for vinyl floors that are non-toxic and harmless to the environment and health. 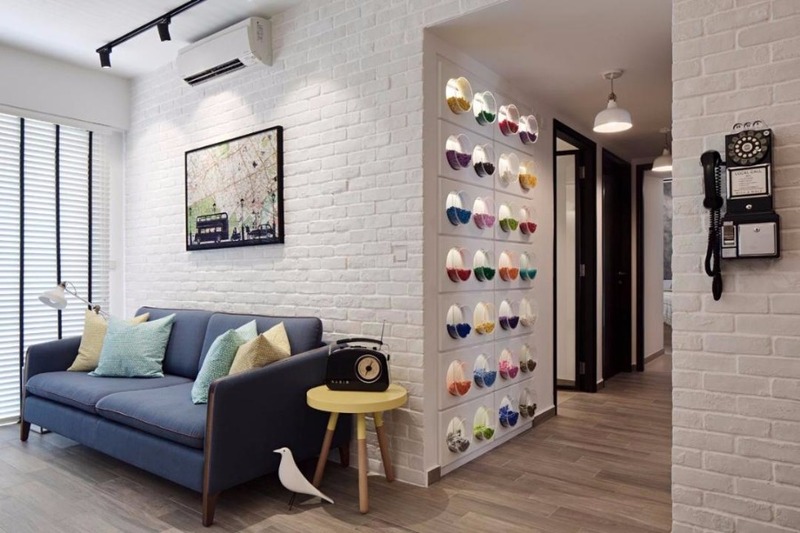 This is to avoid getting certain brands of vinyl floors that have been found to affect indoor air quality as they emit volatile organic compounds, which are considered health hazards. Pros: Cheap; durable; easy to install; high water and dirt resistant; can be refinished repeatedly. Cons: Risk of discolouration; certain brands may pose health hazards. From RM6 per square feet for wood series (plank) and RM8 onwards for stone and marble designs (tile). This includes supply and install. However, costs may increase if the original bare floor is not smooth or not level. Additional cost will be needed to grind/polish the floor or add self-levelling chemicals to even it out. Need quotes for wooden flooring? Hire renovation contractors, interior designers and flooring experts at Recommend.my. Send us your requirements to get multiple responses from qualified professionals. Browse photos of their work, read their reviews, and hire the right vendor for your home or office.